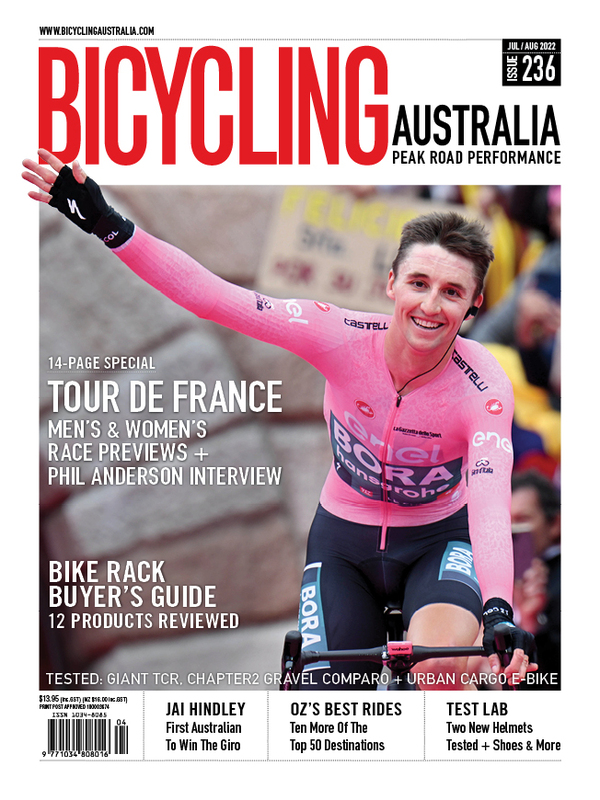 Bicycling Australia have spent the past 4-weeks road testing the latest offering from Australian-based global sportswear giant 2XU. Trialling both the men’s and women’s versions of the company's new Steel X hip reinforced knicks plus jerseys and cycling-specific socks, here are our findings. It’s difficult to know where to begin with this latest offering from booming Australian company 2XU, the sportswear innovators making major inroads into the ever-growing global market. Offering a huge range of products across a wide range of sports, 2XU started in 2003 as a tiny Australian outlet creating specialist running and triathlon attire. 15-years on and 2XU (pronounced Two Times You) are clearly well on their way to becoming one of the major global players the massive activewear industry. During testing we found the 2XU Steel X bib shorts to offer incredible all-day comfort with the added peace of mind of the hi-tech hip panel. Considering the backstory, and the fact they’re not from a pure cycling background, the 2XU Steel X compression bib shorts are without a doubt the firmest, most comfortable and welcome I’ve ridden in a long time. While they do offer a firmer fit than you're probably used to, compression is one of the major features of these performance enhancing knicks. Be prepared to have to spend a little extra time pulling each leg up and into place - at least that was my experience. “I think I need large,” I sulked, when pulling on the medium pair soon after they arrived in the mail. Once on, then standing and stretching, my frantic fears were instantly allayed. 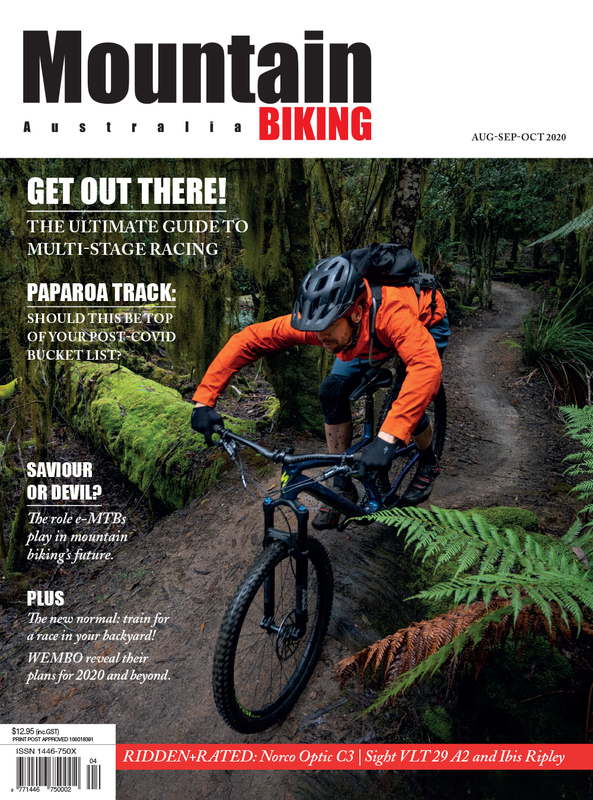 Touted by 2XU as ‘the ultimate cycle solution to keep you protected on the inside and out,’ we can’t help but agree. 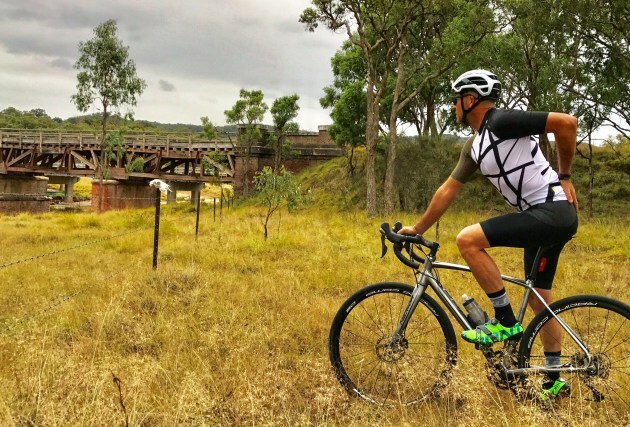 A break during test riding the Steel X bib shorts, 2XU Elite Cycle jersey and compression socks near Tenterfield in rural New South Wales. Other than the performance enhancing firmer feel (yes compression is a proven performance booster and post activity assistant), the Steel X range offer a unique graze protection system - abrasion-resistant hip panels engineered from fabric 15 times stronger than steel. These cut-proof panels are said to protect against road rash and tears. The fabric feels slightly rougher and more coarse on the outside but retains the slinky smooth inner feel of the rest of the garment. As tempting as it was to simulate wear and see how strong these mesh panels actually were - I simply didn't want to risk damaging the knicks. Instead I want to wear them and keep them in tip top condition for as long as possible - these have quickly become my go-to cycling short - by far and away the most comfortable of the 8 or so pairs in the closet, with many from the world’s best-known & long time manufacturers. Bib wise, they feature a wide - and again perfectly comfortable - white vented support strap. Like everything 2XU, it’s well designed, of impeccable quality and - for me at least - was the perfect fit and length with just the right amount of elasticity for a secure and comfortable fit. Men’s and women’s Steel X shorts feature a premium 40mm silicone gripper on each leg. It’s Italian engineered and again functions perfectly well and is comfortable on the legs. Chamois wise and again more innovation – built using industry-leading 120-density foam, the Alta Badia chamois features multi-zoned padding, pre-shaped technology and a seamless one-piece design, plus advanced moisture management and antibacterial protection. I found it perfectly comfortable whether riding round the block to longer 100+ km days in the saddle. Other than the standout and high quality knicks - as explained an item that soon became my instant ‘goto’ - 2XU sent the latest in their jersey range along with matching cycling-specific socks - again a compression product with a firm yet incredibly comfortable and performance enhancing fit. 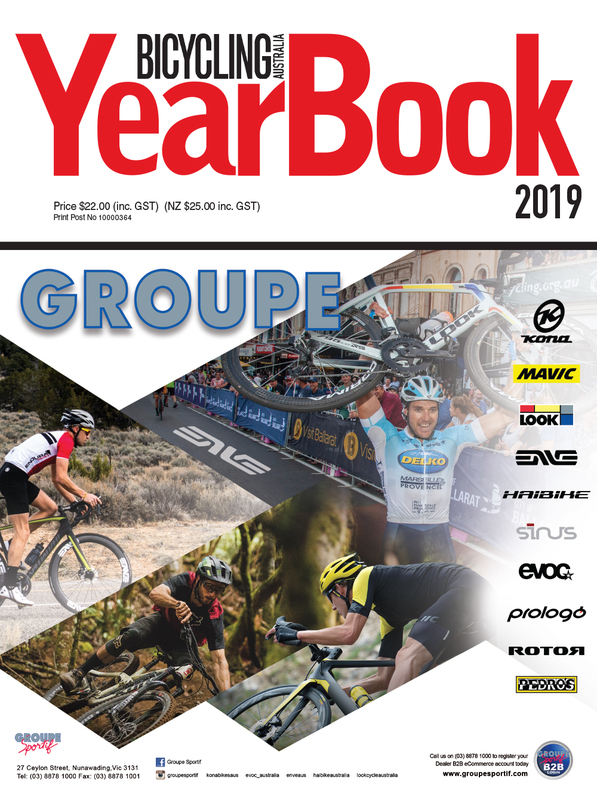 Put on the bib shorts, pull on the socks and zip up the jersey and this well integrated kit exudes a feeling of performance, style and professionalism. The compression is noticable, especially when fitting, but once on the 2XU Steel X bib shorts offer a surprising level of comfort. Described by the company as ‘anatomically correct’, the jersey is designed specifically for the cycle position and increased aerodynamics. Featuring ‘Hi Fil Velo’, the fabric is an Italian-made, high-filament performance material engineered for maximum comfort and continuing moisture management. Sleeves are on trend sitting just above the elbows, the jersey is tight and snug fitting while in no way constraining or constrictive. Like the knicks, socks and other products previously worn from 2XU, the wearer is instilled with the overriding feeling that significant research and development, extensive testing, and impeccable levels of quality control have gone into the product. 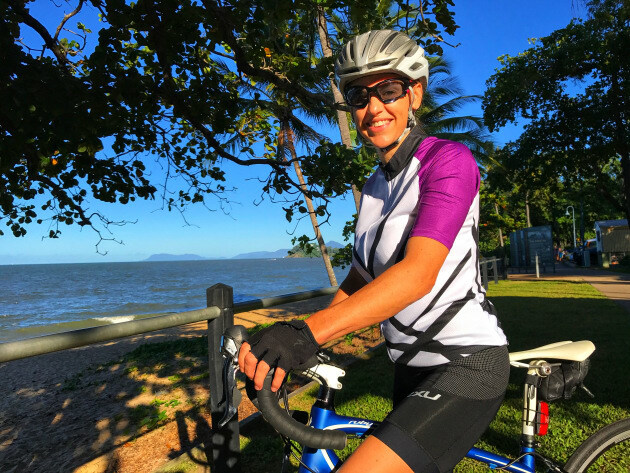 Cairns-based former triathlete and keen bike rider Keri Frecklington takes a break while test riding the latest gear from 2XU. 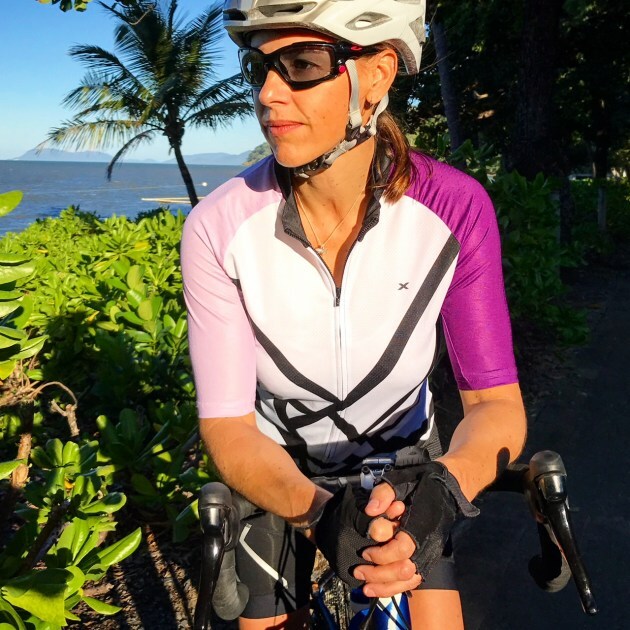 Cairns-based former triathlete and keen bike rider Keri Frecklington kindly offered to wear, ride and offer her perspective on the 2XU range - the women’s specific shorts and latest in the jersey range. 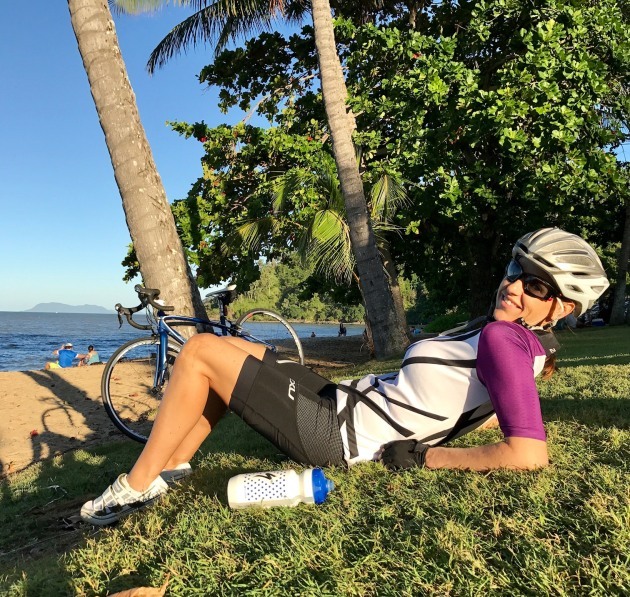 “The chamois design is perfect for long days in the saddle - it is super soft and virtually seamless,” she continued. 2XU offer the Steel X bib shorts in mens and womens sizing, along with various style jerseys and cycling specific socks. Testing the 2XU Elite Cycle Jersey, Keri was impressed with the style, design and ‘not too girly’ colours and theme.